It’s unlike any other Brazilian steakhouse you may have tried so leave your preconceptions behind. And if you don’t have any expectations, well that’s fine as well. 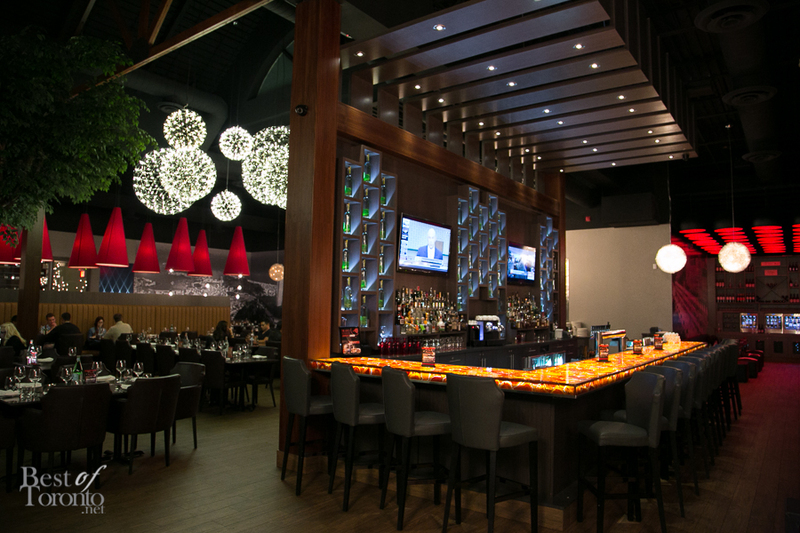 Touro is a churrascaria that provides a premium dining experience set in a spacious, upscale, classy environment with extra high ceilings and modern decor. 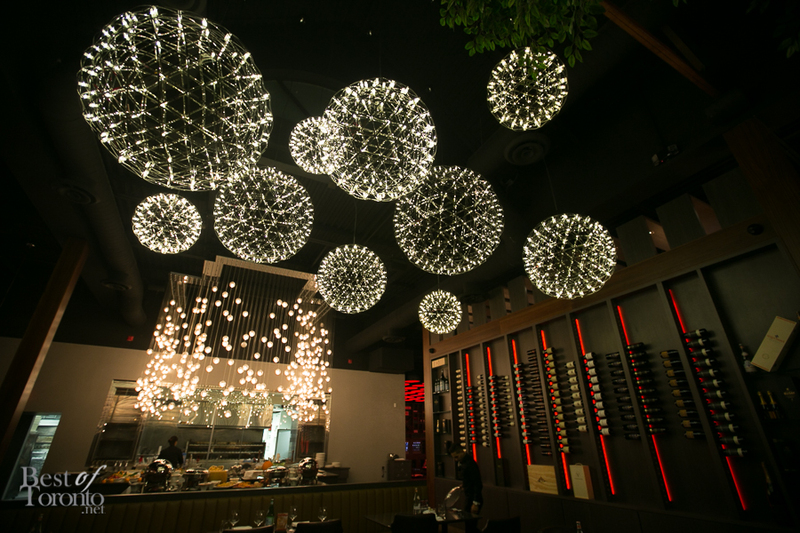 The space is designed by renowned interior designer, Glen Peloso. Appetizer Island is an area that is, on it’s own, an impressive buffet full of a great variety of servings. They even consider baked salmon an appetizer, so by all means, go for it all. Then while you’re seated at your table (in Brazilian Rodízio style) the green side of your card is showing and it signals to keep the meat coming. The attentive servers gladly oblige and bring you fine cuts of meat served at your table until you flip your card over to the red side to stop. For me, it’s not so much stop but more like a brief pause so I can enjoy all the meat I already have on my plate before I can commit to more. There’s 14 specialty cuts of meat for dinner (and 8 for lunch) including beef, pork, poultry, lamb and their famous grilled pineapple with cinnamon. Touro’s exquisite wine lounge features an enomatic wine dispensing system that you can self-serve with your own prepaid wine card. Boasting to have the largest selection of enomatic-equipped wines in Ontario at 24 bottles, you can choose from 1, 3 or 6 ounce pours. This allows guests to sample exclusive and expensive wines without having to buy the entire bottle. I especially look forward to revisiting Touro again in the summer for their extra large patio with it’s own outdoor bar, Zen garden, koi pond, waterfall and private cabana bed area. This patio can accommodate 150 guests! It’s a fun experience and prices are surprisingly reasonable for what you get so that repeat visits can be afforded. And with the versatility of a private dining room, brunch options, wine tasting events, a la carte options and more, it really does allow for repeat visits in varying forms. There’s already plans in the works for expansion to Toronto so stay tuned! For more info visit www.tourosteakhouse.com or call 905-73-TOURO.